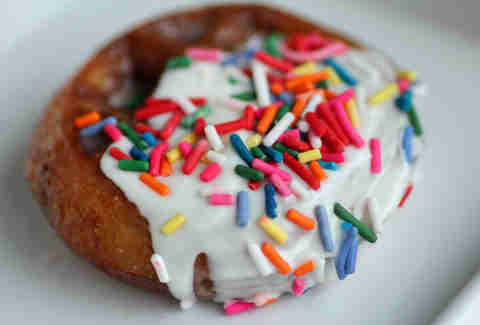 If you thought Chicago was done mashing up donuts with every other conceivable food, you were sorely mistaken. 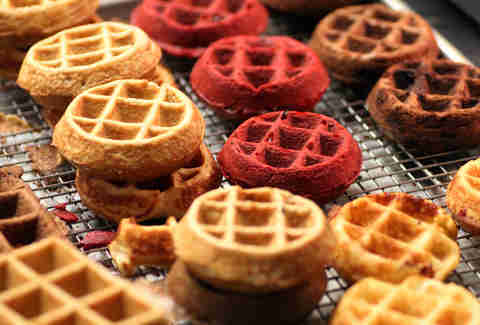 Introducing: The Wonut, a new donut hybrid now available at Waffles Cafe. And did we mention it's glorious? Because it's glorious. 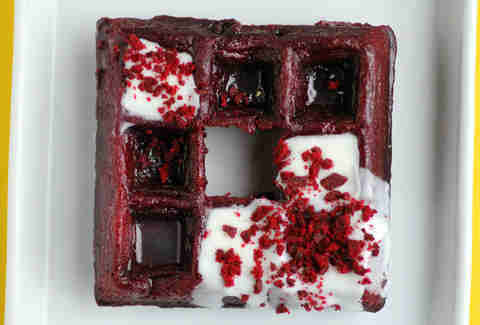 The Wonut starts when a thickened variation on the brunch spot's waffle batter (which comes in either vanilla, chocolate, or red velvet) hits the irons. 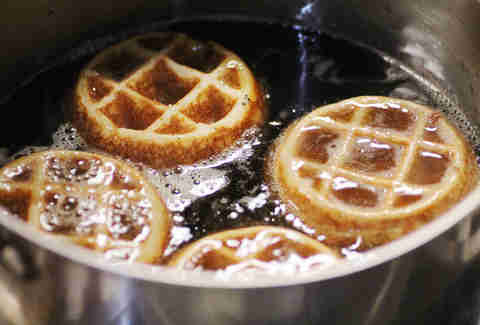 The cooked results are a happy medium between waffle and donut: crispy and waffle-shaped on the outside, cakey and fluffy on the inside. 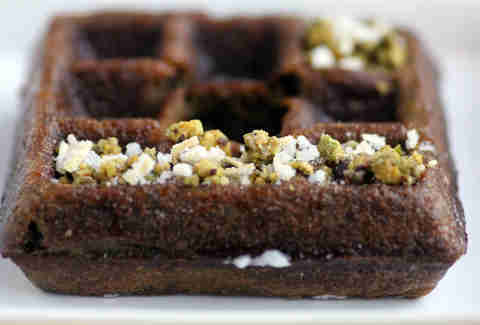 ... And finished with toppings like sprinkles, chocolate shavings, and candied pistachios. The Wonut lineup will rotate steadily, starting with the sugar-glazed red velvet Wonut sprinkled with leftover crunchy red velvet ends. Also cycling in? 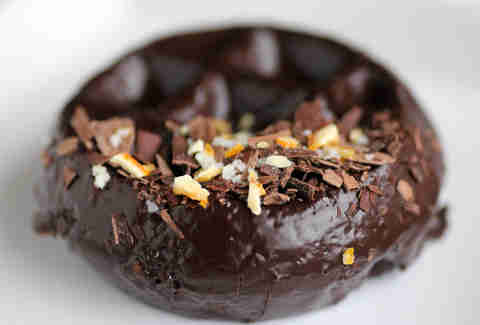 The Mexican chocolate Wonut with spicy cocoa on the inside, and candied orange peel & dark chocolate shavings on the outside. 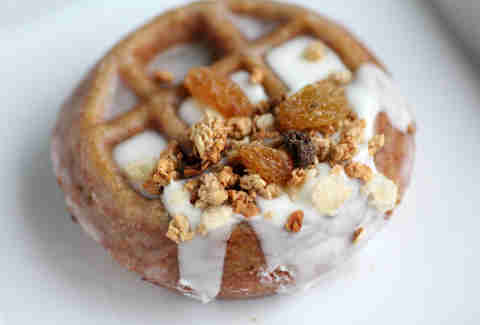 The whole wheat Wonut with a toasted marshmallow glaze, granola, and dried fruit. The green tea Wonut made with Japanese matcha powder, candied pistachios, and ginger. 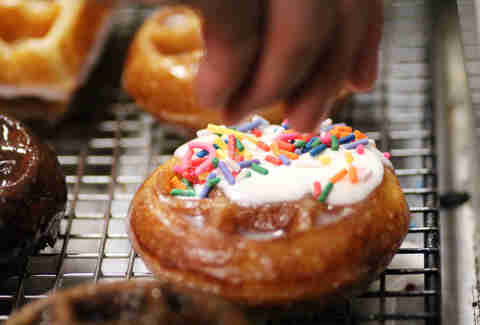 And a liege-style that's almost birthday cake-like, with sugar icing and sprinkles. 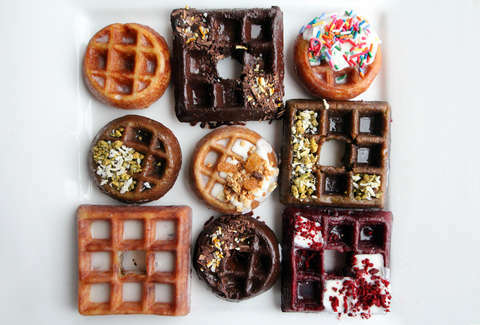 Wonuts are already available at Waffles' Lakeview and South Loop locations, and'll also be available at their forthcoming Streeterville location in the old Arami GO space. Sean Cooley is Thrillist's Chicago Editor, and judges his self-worth based on how many expired yogurts are in the fridge. Follow him @SeanCooley.